You can make big profits if buy tax deeds in California and you know the rules and do your homework. 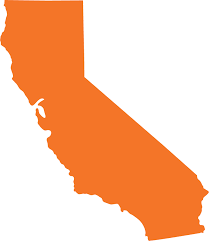 “Buying tax delinquent property in California is a straightforward process. California does not create tax lien certificates. Instead, it issues tax deeds on properties with taxes delinquent for five or more years, or if the owner has not enrolled in the county’s Five Year Payment Plan. The annual property tax deed auctions are very well attended and provide revenue for California’s counties,” writes Karen Rogers. The auctions are open to the public. The auction is properly called a tax defaulted property auction. The homes sold are called tax defaulted property. When a homeowner does not pay his property taxes, that county holds a tax defaulted property auction. This is your chance to invest and make big profits. The Golden State has laws that allow tax defaulted property auctions. But every county has its own set of rules based on the state law. You have to know these rules to be successful. If you want to own property, then California is an excellent place to invest. California sells tax deeds. The highly respected legal information website Nolo says once a property is sold in a tax defaulted property auction, the buyer owns it. The article “Getting Your Home Back After a Property Tax Sale in California” explains this to homeowners. “If you lose your home to a property tax sale in California, you generally can’t get it back, except in certain limited circumstances where the county decides to rescind the sale,” and “If you don’t pay your property taxes in California, the tax collector can sell your home, typically at a public auction,” the article says. You need to know the rules for each county. Until the property deed is recorded in your name, you can’t do anything with the property. Once you get the deed, you can use the property yourself, sell it or rent it. My website Members.TedThomas.com has videos that tell you how to sell property you buy at a tax defaulted property auction at little to no cost. I also tell you how to build a network of property buyers. The opening bid is set by state law. It is the amount of past due property taxes, plus premiums added by the county. It is going to be well below the fair market value of the house. Santa Clarita, a city in Los Angeles County, held a tax defaulted property auction for several properties in 2014. One of the listed properties was 20714 Dot St. The past due taxes were $35.03. The real estate information website Zillow says the proper is worth $229,350. The premiums added by the county can also vary. Sonoma County has a detailed explanation for these added charges for that county. You need to know the additional amount added in other counties for those auctions. In addition to this, you have to pay the recording fees to get the deed in your name. Santa Clara County lists the fees collected there on the county website. Other counties have different fees. One fee that is collected in each county is the Transfer Tax. That is 55 cents per $500 of property. If the property sells for $12,000 and $10,000 of that is for the property, then the fee will be $11. The Transfer Tax is not paid on the premiums added by the county. So how much are the taxes? That depends on the county’s tax rate and the value of the property. By the time a tax deed is offered at auction, the property taxes are at least three years past due. “Property becomes tax-defaulted land if property taxes remain unpaid at 12:01 a.m. on July 1st. Property that is tax-defaulted after five years (or three years in the case of property also subject to a nuisance abatement lien) becomes subject to the county tax collector’s power to sell that property in order to satisfy the defaulted property taxes. The county tax collector must attempt to sell the property within four years of becoming subject to sale,” says the California State Controller. This website also has links to every California County’s tax collector or treasurer. The minimum bid for any property sold in a California tax defaulted property auction is listed in the advertising for the auction. The county is only interested in collecting the past due taxes plus the interest, penalties and fees added according to state law. • Other liens. In general, a tax defaulted property auction sets aside other liens on the property. A mortgage is eliminated. There are rare cases where another lien is not set aside by the auction. • Your rights to the property. What can you do with it? What is the zoning on the property? When can you take possession? What if the house is occupied when you get the deed? • How to register for the auction. This also varies by county. Some counties require a deposit. If you buy something, the deposit is used toward your purchase. If you don’t buy anything, you get a refund. The more you know about the property, the better. My website, Members.TedThomas.com, has videos that teach you how to inspect property. I have two videos that teach you how to use Zillow.com, a site that helps you determine a property’s value. My videos teach you everything you need to know about making big profits in tax defaulted real estate. Ted Thomas is a Florida-based author and publisher who specializes in tax defaulted properties. For more help learning how to buy tax deeds in California visitors to his website www.tedthomas.com will find 4 must see FREE instructional videos. No credit card required. The video lessons will give you everything you ever wanted to learn about government tax defaulted real estate which is sold at public auctions for starting bid, back taxes for 10 cents to 20 cents on the dollar. You’ll also learn the secrets of tax lien certificates which pay guaranteed returns of 16%, 18%, up to 36%. Go to www.tedthomas.com for more information.